Have you downloaded our mobile app? 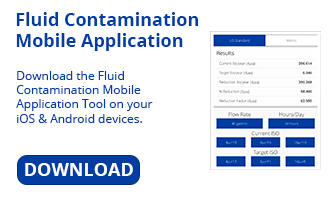 The Hy-Pro Filtration Contamination Tool is now available for download on iPhone or Android. Calculate the amount of contamination reduction achieved by lowering ISO fluid cleanliness codes to a user defined target. Raise awareness, improve reliability and save money by minimizing component repair & replacement and extending useful fluid life. Put Hy-Pro on your lube team and let us help you set a target and implement strategies to achieve and maintain your fluid cleanliness goals.